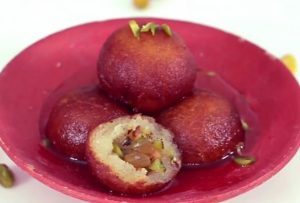 Homemade Gulab Jamuns recipe shared by Ravi Kumar from India Food Network. Gulab Jamun is such a sweet which completes the meals in the best way. Soft and spongy, Gulab Jamun has great taste and texture and is quick and easy to make. 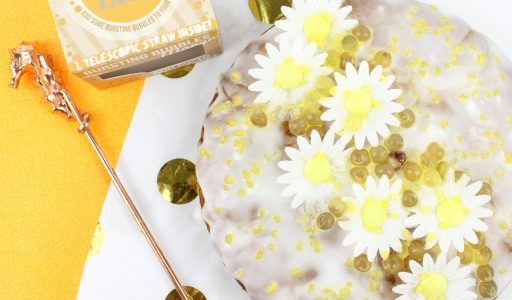 Gulab Jamun is one of the best mouthwatering sweet dessert you can choose for a special occasion. Start by kneading the khoya. In a heated pan, add in water and sugar along with a few strands of saffron. In a dough, add in flour, baking powder and knead again. Keep this aside. Roll out this dough into small balls. 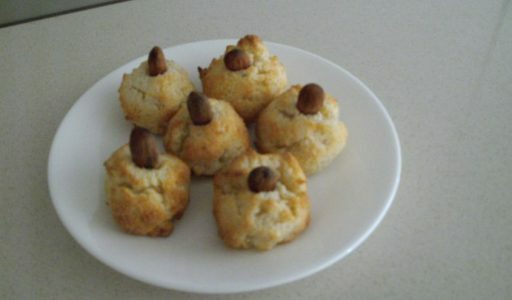 Make a small hole in the dough balls and stuff it with dry fruits. Fry these until golden brown and add them to the sugar syrup.